I’ve put a question mark at the end of the title of this post, but I’m going to remove it if the system which I’m about to describe proves to be as good as I think it will. 1. Universal capture - you can add all the tasks which you must do, should do or want to do. 2. 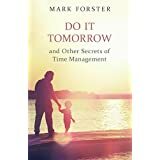 It ensures that the difficult tasks - the ones that you tend to procrastinate over - get done, done quickly and done well. 3. It processes recurrent tasks (email, tidying, filing, mowing the lawn, paying bills, etc) quickly and efficiently so they don’t build up. 4. It can deal with urgent tasks with an appropriate degree of despatch. 5. The system itself has minimum overhead. 6. The system itself doesn’t raise resistance by forcing you to do things you don’t want to do. This is the first system I have ever come across, whether mine or someone else’s, that fulfills all six of these requirements. It is based on an earlier system of mine, Autofocus 4 (AF4). For those of you who remember it, I have only made one structural change to it. The change is that unfinished tasks are now retained in the Old List until they are completed. However you don’t need to know AF4 to understand the new system. 1. You have two lists, an Old List and a New List. 2. Start by filling the Old List with all the tasks you want to get done. I suggest you put on it everything you’d like to get finished in the next couple of weeks or so. At this stage the New List remains empty. 3. Start working on the tasks in the Old List. If any new tasks come up you put them in the New List. No new tasks should be added to the Old List. 4. You can do the tasks in the Old List in any order you like. Continue working on the tasks in the Old list for as long as you feel like it. 5. When you’ve finished a task, delete it from the Old List. If it’s a recurring task, re-enter it at the end of the New List. 6. You don’t have to finish a task when you work on it. When you want to stop working on a task in the Old List without finishing it, delete it and re-enter it at the end of the OLD List (not the New List). So tasks remain in the Old List until they are finished. 7. When you have done as much work in the Old List as you want to do for the time being, you switch to the New List. 8. The rules for processing tasks in the New List are different from the rules for the Old List. In the New List you have to do the tasks in the order they are written. For example if you have ten tasks in the New List and you start by doing Task 5, you can’t then do any of Tasks 1-4. Your next task can only come from Tasks 6-10. Unfinished tasks in the New List are re-entered at the end of the New List, not the Old List. 9. Once you have reached the end of the New List, you go back to the Old List and repeat the process from Step 3 onwards. 10. Every time you go back to the Old List, you must work on at least one task. If you do not, every task remaining in the Old List is deleted without being re-entered. 11. When the Old List is empty, the New List becomes the Old List and you start a fresh New List. The rules sound more complicated than they are in practice. The best way to understand them is to read them through carefully then try them out. After you’ve been doing them for a day or two, read them again to make sure that you are doing them right. 1) It’s important to keep the lists well weeded so that they contain only tasks which are still relevant. It’s a good idea to have a recurrent task “Weed Lists” in which you remove outdated tasks and those which for one reason or another you no longer wish to do. 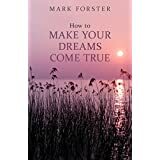 3) If a task comes up which needs to be done immediately, write it down at the end of the New List, stop what you are doing and go straight to it. This is quite in accordance with Rules 4 and 8. 4) I suggest you read right through both lists before starting work each day. This is to allow your mind to get an idea of the relevant importance and urgency of what is in the list. Mark, this is very interesting. I love AF4 and recommend it often to my staff. 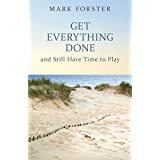 It works particularly well for those who have difficulty starting particular tasks, and difficulty making sure that all important tasks get acted on, not just the "loudest" ones. It's the key to the whole thing. On the whole the larger a task the more likely it is to be resisted. With AF4, the most resisted tasks are usually the last ones left in the Old List. As the list grows smaller so the chance of their being worked on as the next item grows. However once a task has been worked on in AF4 it is transferred to the New List where its chance of soon being worked on again reduces back to very low. With this new system it stays in the Old List, where its chance of being worked on again remains high. This results in a consistent repetition of work on the task with the result it is finished much quicker than in AF4. The new system also has an effect on the New List. Because the high-resistance tasks remain in the Old List, the New List is composed of relatively easy tasks. This means that a pass through the New List is both quicker and more comprehensive than in AF4. 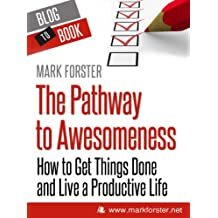 In summary, in AF4 there is a tendency for the high-resistance tasks to be avoided until they really have to be done, and then for them to have a small amount of work done on them, followed by being avoided again. This can go on for a very long time. With this new system, a high-resistance task is avoided until it really has to be done, but then it gets worked on consistently until it is completed. Once the task has been started it will be a relatively short time until it is completed. Interesting, Mark. Do the AF4 rules for the new list still apply? Specifically, that you do NOT have to do anything on the new list if you have scanned it and feel no urge to do a task? Yes, it's only in the Old List you HAVE to do at least one task per visit. Brilliant, Mark....just brilliant. I am going to try this out. Further to my previous answer, I was wondering how often it would happen that one wouldn't want to do at least one task from the New List. After all one only goes to the New List when you want a break from the Old List. Not doing any tasks on the New List would send you straight back to the Old List without having your break. Wow, excited to try this! Question: do you work the New List from top down? I decided to do #2 (read article). I then consider 3, either do it or consider #4, either do it or consider #5? Thanks for the new method! I am speculating that retaining the form of AF4 (a long list with a dividing line to separate the backlog from the new items) but adding an asterisk on the unfinished item in the old list would replicate this. Yes, you're right it would, and that was how I tried it on my first attempt. However I'm so used to crossing tasks out when I've finished working on them that I found that I kept on crossing the tasks out by mistake. So I decided it was easier to cross them out deliberately. Also I find I get a better sense of progress when I cross them out and re-enter, and that's important psychologically. Mark, how do you manage the two lists on paper? Where do you find the space to re-enter items in the old-list? do you use two different books that become alternatively the old and the new list? Other method? I’m basically a FV user so I wonder if something similar could be done in FV. As an example: ’Document N’ > ’Document N, 2’ > ’ Document N, X3’ > ’Document N, XX4’ > ’Document N, XXX5’> etc., and then when the line is full it would be time to rewrite the task as for example ’OLD, Document N, 11’ to the end of the list. In this approach the crossing out in the Old List part of the FV list would be not to tasks but to a number in the task text. The benefit I see in this approach is that the other rules Mark wrote in this blog could be used in FV also. What do you think? Some afterthougthts to explain why I have found it is sometimes beneficial to modify the item text instead of rewriting the item to the end. As Mark wrote rewriting the item to the end of the (FV) list makes it ’disappear’ compared to if it is kept in it’s 'original' place. It is also difficult to see which tasks are in progress unless there is a number (or some other visual cue) to highlight it. I don’t expect myself to remember on Monday what I worked with last week. The problem created is that the same item is selected multiple time so the plain ’dot an item’ does not work as the only approach. When I work in FV mode I add items to the list: ’FV chain: items 34, 57, 166,167’, ’FV: items 34, 57, 175’ so that it’s easier to find the items. It makes it also easy to select the same items multiple times neatly. The drawback is that items need numbers or some other way how to identify them. The question whether the benefits of row numbering are bigger than the drawbacks depends on how much cross referencing is needed. I use the same numbers to cross-refer the items also to projects so they work fine for me. Higher resistance task need some highlighting. Mark’s version is ok but this the current variant is AF4 dependent. Somehow, I hope it’s not his last word. As a FV user. How about drawing a small vertical line / tally mark next to the item. When enough has been done on the item simply draw a small horizontal line through the upper part to form a small cross symbol. I have been doing this with another notes based system to indicate which page I am currently working on. This is very easy to see and gives good feedback on the number of 'reps' an item has been worked on. (This coding format could also be used in the new list for recurring items). etc. just wondering if this would prevent the need for 2 long lists? I've had one person say their posts are being rejected and I want to see if anyone else has had the same problem. I'm using a loose leaf binder so there's no problem. There are plenty of alternative solutions, such as having one list starting at one end of a notebook, and the other at the other (turn the notebook upside down). Or one at the beginning and one half-way through. Or one using the left hand pages and the other the right. Or having two columns on one page. Or just using sheets of paper rather than a notebook. Or starting a new page each time you need to in a notebook and heading the page OLD or NEW. Yes, you could certainly do it that way. Personally I prefer to cross out and re-enter not just because I'm used to it, but also because it makes it very easy to see which tasks have been worked on and which haven't. I don't find markings are quite so easy to spot. zomg! running for one day. this looks very promising! Mark, this looks outstanding. 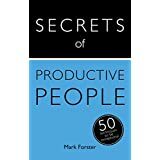 Here's one way to use it for managing your personal and professional life seperately, in one notebook. 1. Label the top first page of a 5 x 8 spiral-top writing pad with "Old Tasks: Personal". 2. Write down all your existing personal tasks along the left half of the page. 3. Write "New Tasks: Personal" on the first new page. 4. Flip the notebook over and label the top first page with "Old Tasks: Professional". 5. Write down all your existing professional tasks along the left half of the page. 6. Write "New Tasks: Professional" on the first new page. 7. Bind the front and back cover together (rubber band/tape/glue). This gives you a stiff writing surface, ensures quick flipping to your personal or professional section, and rids you of the tacky front covers of most spiral notepads. Or just rip the front cover off. 8. Cut the bottom right corners off the "old tasks" pages. Now, you can easily flip to your new tasks. 9. Need to rewrite an unfinished old task? Jot it on the right half of any "old tasks" page. June 14, 2013 at 22:32 | Michael B. Tried the new hack today and was happy with results. This could potentially replace my tried and tested DIT approach. Clarification on Items 1-4 on the New List, if I start on 5, and then I have to do 6-10, when will I get to 1-4. Not sure I am clear on that. Also, there are items on the Old List that are long-term/waiting items that I want to skip reviewing when I look at the list, but I still scan them all the time. Looks like wasted effort, Right? This looks really good. I've been trying ASEM with AF4R. This will be similar, but much easier. Love the simple, but genius, idea of keeping unfinished "old" tasks in that list. As Mark said in an earlier reply, that is the key. Rather than calling it the "old" list, I use "now." So will have a now list, which is closed, and new, open list. Think I'll still use ASEM to process the "now" list. I think you might be misunderstanding Rule 8. With the New List, you get one pass through it in which you can do as many or as few tasks as you like, but only in the order in which they are written on the list. When you've finished the pass, you go back to the Old List where you can stay as long as you like, and do tasks in whatever order you like. Once you've worked on the Old List for as long as you want to, you get another pass through the New List, then back to the Old List. Eventually of course the New List will become the Old List. It's not a good idea to have long-term/waiting items in this system because the whole idea of the Old List is to get all the tasks on it done and completed. Stuff which you don't actually currently want to do shouldn't be on the list. That's why rule 2 says "Start by filling the Old List with all the tasks you want to get done. I suggest you put on it everything you’d like to get finished in the next couple of weeks or so." Everyone of course is at liberty to call the lists whatever they like for their own personal use (I call mine "Mary-Kate" and "Ashley"). But in order to avoid confusion please stick to the "official" terminology of Old List and New List when discussing the system in the comments or on the forum. 1. In contrast to the original AF4 in rule 10 you state that if one does nothing during a visit to the Old List all remaining tasks must be DELETED not DISMISSED for future review. Why did you decide to drop the dismissal process? 2. Related to the question above, do you think that the system would also work with dismissal instead of deletion? I found that a good feature of the AF systems - a useful "someday/maybe" list. 3. In my home life I have several recurring, daily tasks such as exercise, taking medicine, doing a language lesson and journal writing. I'm not sure that this new system would deal with these items effectively or am I underestimating it? What has your experience been? Thanks again for the new system! I could see a scenario where I have a New List that's a few days old, because I haven't cleared the Old List yet. While working the Old List I might become anxious if there isn't anything urgent in the New List that I should be doing today, so I stop working on the Old List and switch to the New List. I could decide that the 'urgent' items in the New List aren't as important as what I was working on in the Old List, so I switch back to the Old List. All perfectly within the rules. BTW, Mark, one of the brilliant features of all your systems is that it's relatively painless to switch between them. Recently I've mainly used DIT, with quite good results, but I could see how this new system would be even more effective. I'm using a digital implementation with labels 'yesterday', 'today above the line', 'today below the line', and 'tomorrow' (actually my labels are much shorter, but you get the idea). The only modification I would need to make for this new system is to add a label 'yesterday-new', and then everything with label 'yesterday' would be my Old List, and everything else except stuff labeled 'tomorrow' is the New List. This way I could have my choice of stuff to work on from the New List being guided by DIT-principles. What I especially like about DIT is the idea of "a day's work", that notion would remain intact if I implement your new system as described above. In fact it really amounts to much the same thing. The reason boils down to the fact that AF4 is usually done in a notebook, so it's easy to keep dismissed tasks available in the finished lists. Whereas this system is, by me at least, done in a loose-leaf folder and I really want to be able to throw the old pages away. There's nothing to stop you keeping a separate list of someday/maybe items and reinstating the deleted tasks when you feel it's appropriate. My experience so far has been one and a bit days, so I can only really guess. I have exercise, taking medicine and doing a language lesson to do myself, and I guess that answering blog comments sort of equates to the journal. So far the medicine, language lesson and replying to comments have worked fine. The medicine I do on a fixed time basis so it's not in the list, but the other two are. That leaves exercise. I enjoy it when I'm doing it, but I experience a lot of resistance to starting it. I think it is best done at a fixed time each day, preferably first thing in the morning. I would say that is the best way whatever system you are using. Yes, I'm sure there are times when you might go to the New List and not do anything. But in the particular circumstances you describe I personally would avoid this by reading the list through as in Suggestion 4 before starting working again. Nevertheless,no harm done if you do it the way you describe. One thing I would say is that I see the Old List lasting considerably longer than a day. I've been working on mine for a day and a half and I've still got 17 unstarted tasks on it (several of which are quite large) and two unfinished tasks, which will need at least another three goes each. But I have cleared one really huge task and lots of others that have been hanging around for some time. Even in AF4 the Old List could last for several days, and with this new system it could last for much longer than that. The dynamic is different between the two systems. In AF4 the aim was to do something to each task in order to clear the Old List as quickly as possible. In the new system the aim is to crack all the hard nuts however long it takes! I'll vote for keeping the long projects in the same order and adding marks as I work on them, rather than rewriting them at the end. If I see Project A first, I'm more likely to do it than the others. It will get done. If I see Project B first, I'm more likely to do it, and A moves to the back-burner. Next time, C gets the attention. I'd rather work on A more often and finish it faster than divide my time between them. The effect is more noticeable with longer projects with fuzzier deadlines. Ages ago there was a discussion about how often to rotate tasks. Doing AAABBBCCC gets A done in 3 hours, then B, then C. Doing ABCABCABC finishes nothing until the 7th hour. It's nice to be able to work on B if we can't work on A (even if "can't" means bored with), but keeping the focus on A will get a feeling of accomplishment sooner. I like "do in order" as a guideline, but not a rule. If I should do 5 now, that means I can't do 4 as a reward. This is like Superfocus except: i)unfinished tasks remain in the "column(list)" they originated in and ii)pages do not have an relevance. Interesting comparison to SF. But I think the dynamics of "The Ultimate" are much different, not ever forcing you to do something you can't or don't want to do. I got bogged down with SF because I had to iterate on the Second Column items multiple times before I could get to the newest items at the end of the list. Thus I'd add more and more urgent items to the Second Column for immediate attention. This bogged down the whole mechanism since the Second Column works best when there are only a very few items there. Nevermind. I just realized there are very subtle differences which make each system behave much differently. It complicated to explain in writing. I have the following situation on my old list for personal stuff. I now have a handful of tasks that now cannot be done because they are dependent other things happening first. For example, I had "setup recording of X program on DVR". But I have encountered a problem with our digital cable and now have to call the provider for a service call. So what do I do with tasks that are on my old list, but now cannot be done due to other dependencies? And importantly, if these are all that is left on my old list. Double Nevermind. It is like Superfocus as I described. That is, unfinished tasks from the Old list can be rewritten in the New list. Example: Suppose "Clean room" was originally entered in the old list. If I do some work on it but don't finish it, by Rule 6, I would just cross it out and re enter it at the end of the Old list. But by the same reasoning, the unfinished tasks that would complete 'cleaning the room' such as "pick up clothes", "file papers" and "vacuum" would go where? The Old list or the New list? 1.Do those tasks go in the Old list because they are part of an Old list task not completed yet ? or 2.Do they go in the New list because they are 3 new tasks added to the system? This is really making me think. If 1, then the Old list grows , but with smaller and smaller tasks, eventually pushing everything in the list to completion or elimination. Which makes me relate it to the acting like Column 2 of Superfocus. Almost exactly, except with a one very long page. If 2, then there isn't a constant push to complete the Old list as pieces of it are simply going to the New list...which will eventually become the Old list (by Rule 11). Does anyone follow my thought on this? The way I'm thinking it out in my head is not easy to write out. I'm wondering if anyone will notice this though usage/experimentation. Mark, any thoughts on this? Double Nevermind. It is like Superfocus as I described. That is, unfinished tasks from the Old list can be rewritten in the New list. Example: Suppose "Clean room" was originally entered in the old list. If I do some work on it but don't finish it, by Rule 6, I would just cross it out and re enter it at the end of the Old list. But by the same reasoning, the unfinished tasks that would complete 'cleaning the room' such as "pick up clothes", "file papers", "organize books" and "vacuum" would go where? The Old list or the New list? 1.Do those tasks go in the Old list because they are part of an Old list task not completed yet (due to Rule 6) ? or 2. Do they go in the New list because they are 3 new tasks added to the system (by Rule 3)? This is really making me think. If 1, then the Old list grows , but with smaller and smaller tasks, eventually pushing everything in the list to completion or elimination. Which makes me relate it to the acting like Column 2 of Superfocus. Does anyone follow my thought on this? The way I'm thinking it out in my head is not easy to write out. I'm wondering if anyone will notice this through usage/experimentation. What I like most in this new system is the ability to handle urgent tasks, something FV had, but not your newer inventions, which made me stumble and go back to FV. I can see my Old Lists lingering around for quite a while at the rate I am going with it today, a bit like the slow lane. The fast lane will house much of the urgent stuff that lands on my table. The biggest practical difference to Superfocus is that you don't have to work on all the unfinished tasks every time you come to them - except when there's only one left. The Old List is going to last for quite a time, so in the majority of cases there's no need to do anything with them since the dependency will have been resolved before you get to the end of the list. Where I have a task that is dependent on another task and I want to keep it on the list (as opposed to scheduling it for a future date) I just put a query after it, e.g. "Set up recording?" That is short for "Check whether it's possible to set up the recording, and if it is do it"
You will observe that if it's not possible to do the recording task, then you have still completed the checking task.and can therefore move the task from the Old List to the New List. This was part of what I called the "timing problem" in SuperFocus, and I felt it could be addressed by somehow decoupling the two lists—while, of course, still leaving them connected. Your new UTMS takes an excellent shot at that. Well done! Have just started using this. So far, so good. If I'm understanding correctly, we're only going to see the real differences between the dynamics of this and AF4 when we get down to those last few resistant tasks on the Old List? So that could be some days yet depending on the size of the Old List? Example: Suppose "Clean room" was originally entered in the old list. If I do some work on it but don't finish it, by Rule 6, I would just cross it out and re enter it at the end of the Old list. But by the same reasoning, the unfinished tasks that would complete 'cleaning the room' such as "pick up clothes", "file papers", "organize books" and "vacuum" would go where? The Old list or the New list? Why are the tasks on the new list relatively easy? I might add a new task that when I get to work on it is a ' heavy' task and therefore is re entered on the new list. A next pass through the new list will likely make me hit this heavy item ( as it should) but doesn't necessarily mean the new list will be faster, other than it is likely in the early days to be shorter ... Or am I misinterpreting? Also in respect of new list and e-entering a unfinnished task on the end of new list. Is the intent to hit this re entered task during the same pass as this will now be the 'end of the list' ( ie stuck in loop until done) or is the idea to work toward the endpoint of the list as-was before the new re entered task ? Grik - After a time, the only tasks remaining on the Old List are the difficult ones. The New List has a mix of new easy things and new difficult things. That's why the tasks on the New List are, on average, relatively easier than the tasks on the Old List. Seraphim's answer is correct. In AF4 all the difficult tasks from the Old List get moved to the New List as soon as they have been "touched". In this system they stay in the Old List until completed. You are correct in thinking that some new hard tasks will get entered in the New List, but they won't have built up the same charge of resistance as being new tasks they won't yet have been procrastinated over. Any answer on "...or is the idea to work toward the endpoint of the list as-was before the new re entered task ?" There's no compulsion to do any task in the New List, if that's what you're asking. I'm afraid I don't understand the rest of the question.